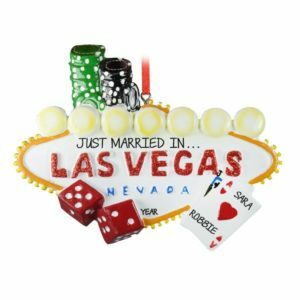 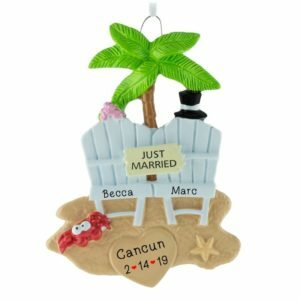 Browse our unique selection of Destination Wedding ornaments for the perfect gift! 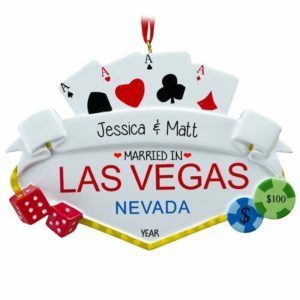 Destination Weddings are all the rage these days. 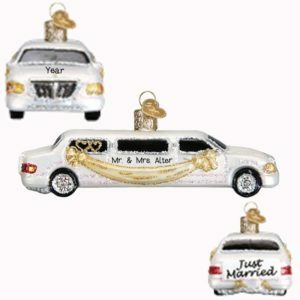 Check out our growing collection of wedding keepsakes. 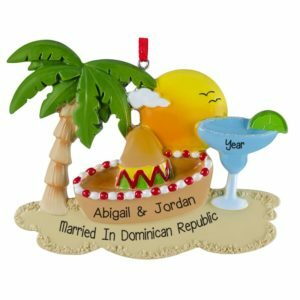 We have the perfect ornament to mark such an important occasion. 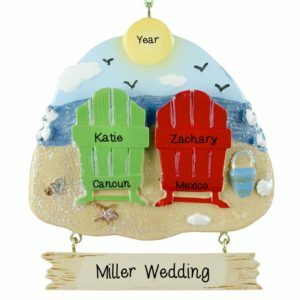 If you are attending or planning a Destination Wedding, Personalized Ornaments For You can create the perfect memento for the happy new Mr. & Mrs. Our talented artists will hand personalize an ornament with the Bride and Groom’s names and the wedding date, along with a fun sentiment to help mark the occasion, such as “Married on the Beach” or “Married on the Sand”. 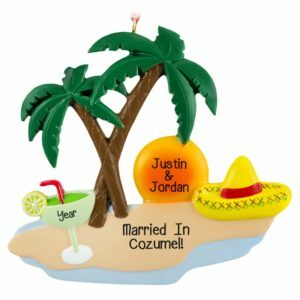 We have fun ornaments for the bachelor or bachelorette parties, too! 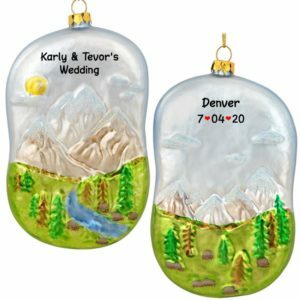 Choose one of our resin, dough or glass ornaments to help cherish this memory and start a new tradition for their Christmas tree. 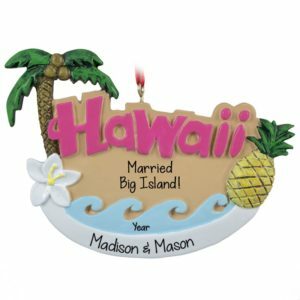 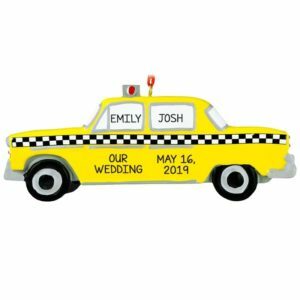 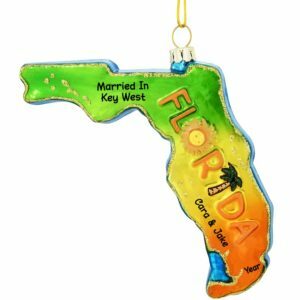 Our personalized Destination Wedding ornaments make great gift toppers and are also the perfect wedding favor! Be sure to contact our customer service department to ask about our group discount.